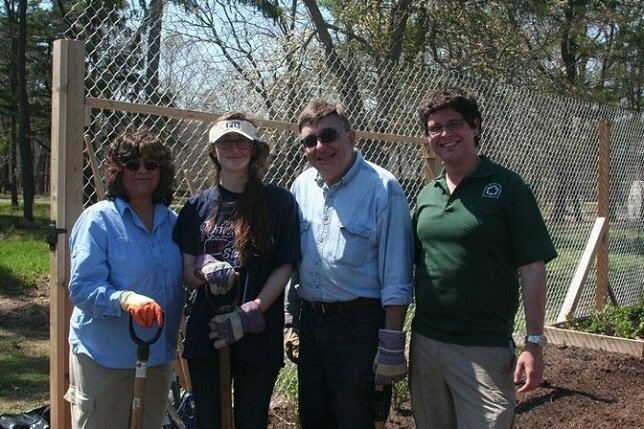 Volunteers at Connetquot River State Park Preserve from I Love My Park Day 2014. Earth Week events are being held statewide for families to enjoy nature and learn about environmental sustainability. Photo by: Park Staff, via LongIsland.com. Albany, NY - April 18, 2016 - Governor Andrew M. Cuomo today announced that as part of Earth Week 2016, which takes place this week, numerous family-friendly events are being held to encourage New Yorkers to experience the great outdoors and learn more about environmental sustainability. In addition to outlining these events, the Governor is also highlighting the administration’s ongoing commitment to protect and restore New York’s water quality and natural resources, grow our clean energy economy, and aggressively combat climate change. "Under Governor Cuomo's comprehensive clean energy plan, Reforming the Energy Vision (REV) and other major actions to combat climate change and reduce greenhouse gas emissions, New York State is the model for other states and countries to follow," said Richard Kauffman, Chairman of Energy and Finance, New York State. "With nation-leading initiatives such as mandating 50 percent of electricity coming from renewable energy by 2030 and the $5 billion clean energy fund, New York has already created new clean energy jobs and seen nearly 600 percent growth in solar under the Governor. " Revitalizing State Parks: The Governor's NY Parks 2020 program is a multi-year commitment to leverage $900 million in private and public funding for State Parks from 2011 to 2020. The Governor's 2016-17 Executive Budget allocates $90 million toward this initiative. To date more than 225 projects have revitalized and rejuvenated more than 130 State Parks and Historic Sites. Launching the New York Water Quality Rapid Response Team: The Governor's new statewide Water Quality Rapid Response Team has been directed to prepare a comprehensive action plan to immediately address water quality issues, tackling matters ranging from currently regulated contaminants, such as lead, to emerging contaminants, like perfluorooctanoic acid (PFOA), nitrates and salt. The Action Plan will include recommendations to strengthen the state’s existing drinking water, groundwater and surface water protection programs. Promoting Hunting and Fishing Recreational Activities: Under Governor Cuomo’s NY Open for Fishing and Hunting Initiative, the 2016-17 budget provides $3 million for State land access projects and $4 million for hunting and fishing infrastructure. The 2015-16 budget also created a new capital account which, along with federal Pittman-Robertson funds, will be used to manage, protect and restore fish and wildlife habitat, and to improve and develop public access for fish and wildlife-related recreation. This year’s commitment builds on the previous $6 million in funding for 50 new projects to provide access to approximately 380,000 acres of existing State lands for recreation, including boat launches, bird-watching areas, trails and hunting blinds, and $8 million for upgrades and improvements to fish hatcheries statewide. Subject: LongIsland.com - Your Name sent you Article details of "Governor Cuomo Highlights Earth Week 2016"